Speculative trading in which the trader takes positions that are expected to be closed out before the end of the trading session. The decline in value of an account due to trading positions moving against the account. Often when systems or trading records are discussed the “maximum drawdown” is disclosed to further define the nature of the trading model. An individual or firm that takes one side of a position hoping to profit by closing the position at a future point with a different trader. Dealers are different than brokers, who bring buyers and sellers together and facilitate the trade but do not take on the position themselves. A statistic that indicates the condition of a country’s economy. Economic indicators are often released by government agencies on a regular basis. The schedule of economic indicators due to be released by various central banks and government agencies. Currency pairs that are not among the eight most commonly traded pairs. The USDZAR is an exotic pair. Exotic pairs are often marked by thin volume and higher spreads. A market condition where both buyers and sellers are aggressively participating in the market. During a fast market prices tend to become volatile and there is a greater danger of slippage in quotes. Holding no positions. Being “flat” makes assigning a value to your account easier because there are no floating positions whose prices may fluctuate. A contract that specifies a predetermined rate for settling a currency contract at a future date. Analysis of outside forces both political and monetary to determine the direction of the market. 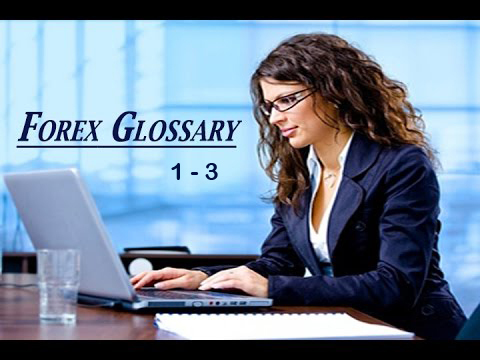 A common abbreviation for the Forex market. The seven leading industrial countries: The United States, Germany, Japan, France, Great Britain, Canada, and Italy. Taking positions in offsetting financial instruments to reduce the risk associated with a single position. Hedging a position reduces the financial risk of a position moving against a trader generally at the cost of reducing profitability if the position moves in the trader’s favor. A statistical tool used to determine the condition of the market to assist the trader in making determinations regarding future price movement. Hundreds of known indicators have been developed that measure different technical areas of the market. Trader’s slang for the New Zealand Dollar. The multiple that the contract size exceeds the margin the customer provides to trade. If the contract value being traded is $100,000 and the customer is required to put up $1,000 in margin, the leverage is said to be 100:1 – in other words the customer is trading contract(s) worth 100 times the amount of margin they are putting up. London Interbank Offer Rate, a closely watched rate that the largest banks charge to lend to each other. An order placed to buy only when a currency falls to a specific price or, conversely to sell when a currency rises to a specific price. A term describing the market’s ability to accept new orders without disrupting prices. If there are many buyers and sellers active in the market then liquidity is high and spreads (the amount between bid and ask levels) will decrease. If there are fewer players in the market trading will become less efficient and spreads will tend to increase. A situation in which a trader has more buy positions than sell positions and thus profits if the price rises. Funds a trader is required to put up in order to speculate on a particular trading instrument. Notice from a broker or dealer to a customer that additional funds must immediately be placed in the customer’s account due to an insufficient margin ratio. Most often this occurs because a position or positions have moved against the customer, thus reducing the account value. Customers who do not add the required funds risk having their positions liquidated by the broker or dealer. An order to buy/sell at the current market price. A risk that stems from dealing on a market. Market risk is a general risk in doing business on any given market and cannot be hedged. Common abbreviation for MetaTrader 4, one of the most widely used Forex trading platforms, which provides the ability to perform automated trading. The condition where one side of a hedge is eliminated this exposing the trader to the risk of loss due to fluctuation in price. If a trader holds offsetting positions at 2 different brokers and one broker closes the trader’s position due to a margin call, the trader is “naked” because he is exposed to profit or loss on the position at the second broker. The difference in pips between the highest and lowest prices for a currency in a day. The price of one currency quoted in terms of another. A term used by technical traders to describe a price level that a currency’s price cannot move above. Often the currency will make repeated attempts to move above the price without success. Technical traders can identify the resistance level because the continued failure to cross the price level causes a pattern that is identified by a straight line on the currency’s chart. Resistance exists above the market price; the opposite market force – support – exists below the market price. Technical traders believe that there is selling pressure at the resistance levels that the price cannot cross. The process in which settlement of a currency transaction is pushed forward to a future date, often incurring a fee from the broker/dealer. A situation in which a trader has more sell positions than buy positions and thus profits if the price falls. The difference in pips between the bid and ask price. When there are many traders participating in the market, liquidity is high and spreads become smaller. An order type that specifies that a position is closed if the market falls (or in the case of a sell position rises) to a certain preset level. Setting a stop loss gives a trader a measure of protection against a position moving against him, though the danger exists that in a volatile market the stop loss may not be executed at the exact price specified. A term used by technical traders to describe a price level that a currency’s price cannot move below. Often the currency will make repeated attempts to move below the price without success. Technical traders can identify the support level because the continued failure to cross the price level causes a pattern that is identified by a straight line on the currency’s chart. Support exists below the market price; the opposite market force – resistance – exists above the market price. Technical traders believe that support levels reflect buying pressure in the markets. Trader’s slang term for the Swiss Franc. The sale or purchase of a specified amount of currency at a forward exchange rate. An order type that specifies for a trade to be closed at a certain in profit level. These orders are typically above the entry price on long positions and below the entry price on short positions. Setting a take profit gives a trader an opportunity to close out a position in profit, though the danger exists that in a volatile market the take profit may not be executed at the exact price specified. A method of trading that uses statistical tools to analyze the market and determine if the price is following long recognized patterns of movement that technical traders believe to predict future price levels. Technical analysis discounts news events and other ‘fundamental’ information regarding a currency, assuming that all available information is immediately reflected in a currency’s price. The smallest unit of price movement. Currencies trade 24 hours a day in different parts of the world. When trading closes in one part of the world it opens in another zone. 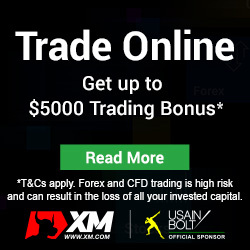 The recognized trading sessions are the London, New York, Tokyo and Sidney sessions. Some sessions like the London and New York sessions overlap so that trading is occurring in both places at the same time for several hours per day. The tendency of a currency to move in one general direction (either higher or lower) over an extended period of time. Currencies can trend for both technical and fundamental reasons. An upward trend is defined by consistently higher lows on the chart. A downward trend is defined by consistently lower highs on the chart. On MT4 charts, the time period the chart covers. Charts can be set to display price information with periodicities of as little as one minute or as much as one month. The unit of foreign exchange, often thought of as the 4th decimal place in non-Yen based pairs. 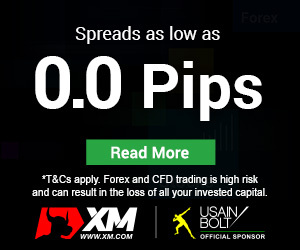 If a the EUR/USD moves from 1.2122 to 1.2124 it is said to have increased by 2 pips. A market condition where the price moves erratically for a specific amount of time. More likely to occur in volatile markets. An order to a bank or broker to electronically transfer funds from one account to another, often at a different financial institution. Trader’s slang term for a billion. It is thought that the term came into use to reduce the chance of the words “million” and “billion” being mistaken for each other during trading.